Do you remember the International CXT? Everyone went nuts over that truck when it came out. It was a hot seller that was perfectly timed to coincided with the gas guzzling phase of the American Automobiles known as the mid 2000’s. As cool as the the CXT was it doesn’t hold a candle to this Mack. 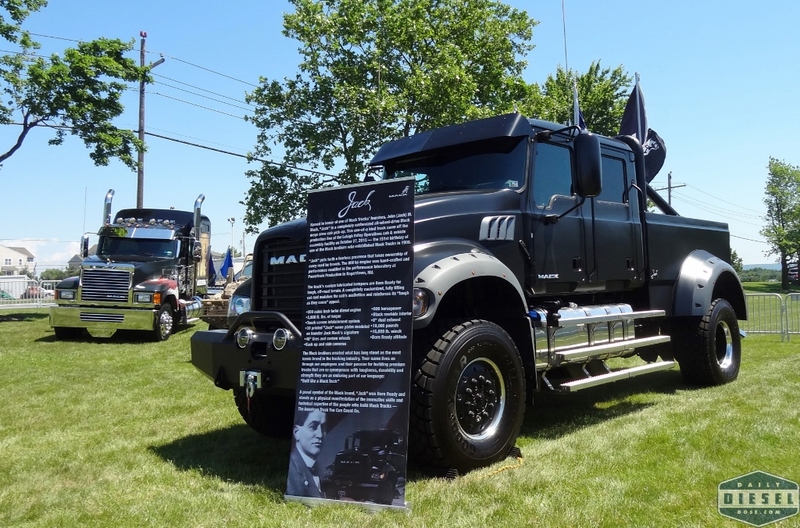 Named the Jack, in honor Jack Mack, co-founder of Mack Trucks, this bulldog is an 800 HP, AWD, crew cab monster. 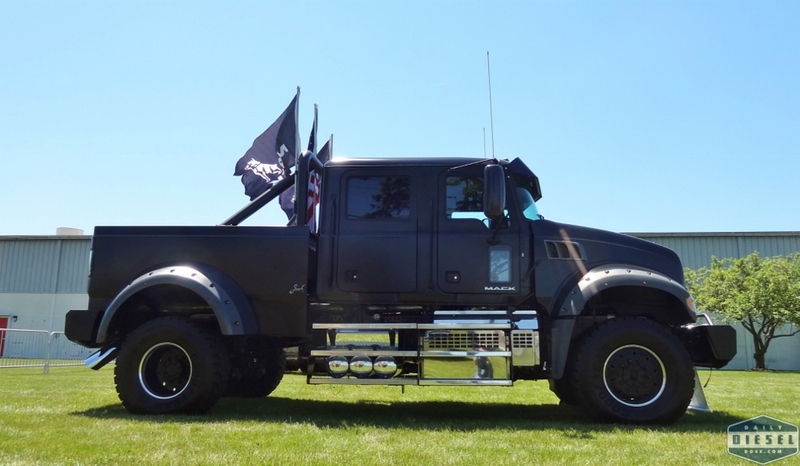 Produced at the Leigh Valley Operations cab and vehicle assembly this truck is one of a kind with a 800HP turbo charged diesel lurking under the hood to shame nearly every other vehicle on the road. 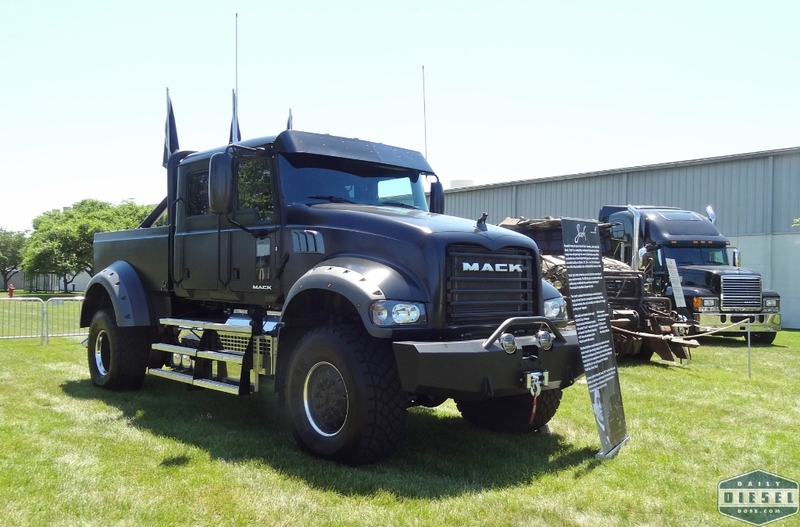 This truck was on display outside of the Macungie assembly plant along with a few other notable Macks. It was stressed many times over during the bus ride and while walking through the plant that Jack was not for sale and another like it would never be produced. The value of the truck was mentioned as close to one million dollars. Now I’m not in the business of building or selling trucks but I can you tell you this, if you build a limited series, maybe 10 or 20, you will find enough people to buy them. Rap stars. Sports stars. Trust fund babies. A Saudi prince that must have one of every vehicle ever produced. The demand is there. 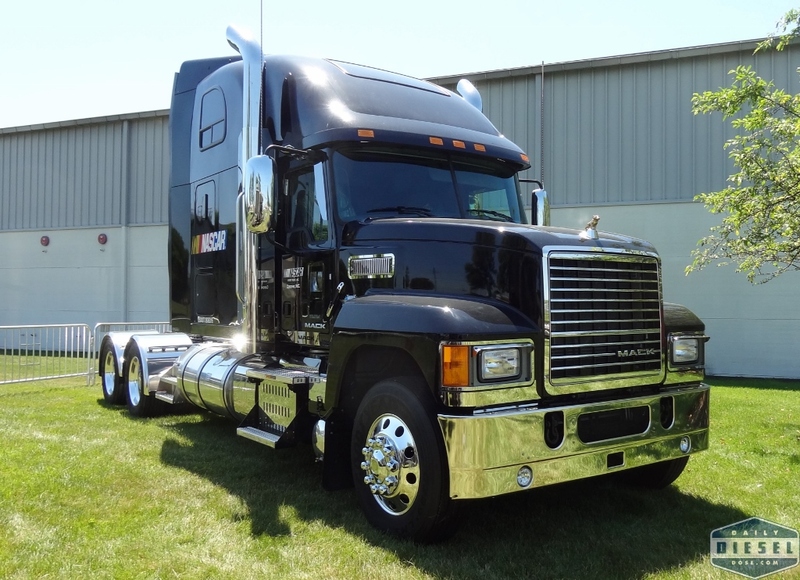 What other truck is Mack currently building that sells for a cool million? BUILD THIS! In the gallery below you have two Pinnacles, one setup for NASCAR as Mack is the new preferred tow vehicle and one setup to honor the branches of the armed services. Now, if you don’t like Macks maybe these GMC’s will seem more appealing to you? 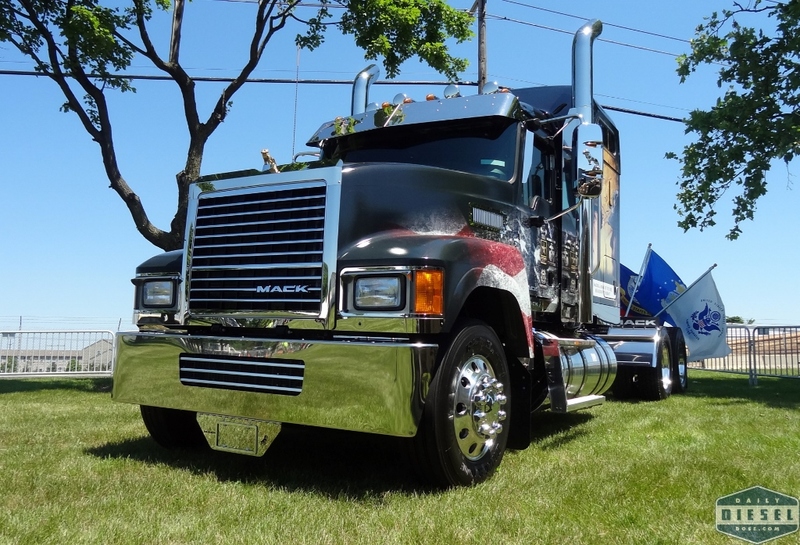 This entry was posted in Truck Show and tagged atca macungie, jack mack, mack truck factory. Bookmark the permalink.